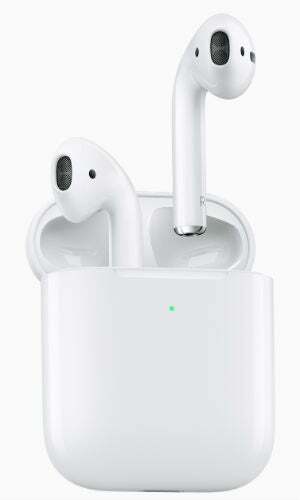 Apple has just unveiled the second-generation of its uber-popular wireless headphones, the AirPods. 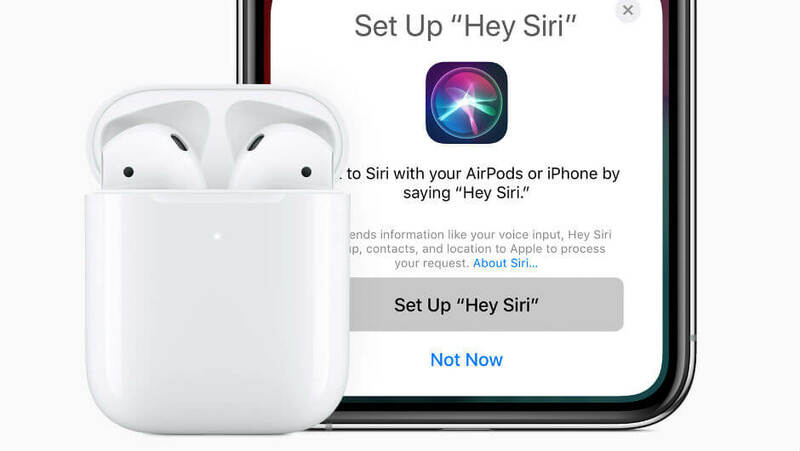 It’s claiming that the new AirPods should give “up to 50 percent more talk time compared to first generation AirPods” which translates to three hours of talking. Sadly, this uplift doesn’t seem to have been reflected in the listening time, which stays at just five hours. Apple has also seen fit to update the charging case, which houses the AirPods when not in use. The new case can now be wirelessly-charged, as well as through the Lightning port on the bottom of the case. Apple plans to make the experience even more magical by delivering “performance efficiencies, faster connect times, more talk time and the convenience of hands-free Hey Siri.” More on that later. The new AirPods, with the fancy new chip, lend Siri some extra usability. With the new models, you’ll be able to wake Siri by simply saying “Hey Siri,” making it easier to change the song you’re listening to, make a phone call, adjust the volume or get directions. The new AirPods cost $159 with the standard charging case — the same as the first-gen models. You can, however, buy the new AirPods with the wireless charging case for $199, a $30 saving compared to buying the wireless charging case on its own. In truth, if you already own AirPods, there’s little to get you really excited about with this update, unless you’re regularly having three hour-long phone calls and find your AirPods running out of juice. However, these new models will still be very good wireless headphones, and the new chip should hopefully give some performance benefits.